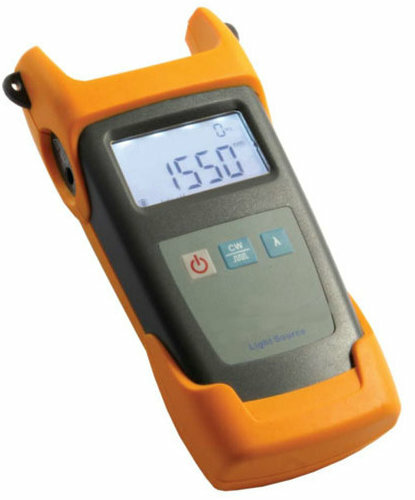 The 3111 Fiber Optic Light Source Series is packaged in a rugged, ergonomic design. It can provide 1 or 2 wavelengths output to satisfy specific LAN requirements, with source configurations available in 850nm, 1300nm, and 850/1300nm LED. Together with the 3211 optical power meter, it is a perfect solution for fiber optic network testing applications.